There once was this ferocious blues-rock duo, and they were really good. Nope, I’m not talking about the White Stripes (who were also really good) or Boston heroines Mr. Airplane Man (again, really good). I’m referring to the Black Keys, whom I had the pleasure of interviewing and writing about for The Boston Globe back in the spring of 2003 right as their second album, “Thickfreakness,” was about to hit. I caught them at the tiny but seminal Cambridge, MA. club, T.T. the Bear’s Place, where they absolutely tore the roof off the sucker. Afterwards, geeking out like my usual self, I asked Dan and Pat to sign my LP copy of their new album. They seemed flattered at the request and I handed them my black Sharpie marker. A moment later, a young woman came up and asked for their autographs too, just as they were about to hand me back my Sharpie. And then more people approached. They looked surprised, caught off guard. Adulation was new to them. They hadn’t brought anything — not pen nor pencil nor crayon – to sign with. “You keep it,” I told Pat and Dan with a grin, gesturing toward the marker. “I have a feeling you guys are gonna need it!” I was right, of course. They did. In no time at all, the Black Keys were everywhere, playing to huge crowds and headlining festivals. But to my mind, they’ve never matched what I saw and heard that night at T.T.’s : one of the most scorching sets by anyone, ever. Here’s the full version of the advance feature I filed with The Boston Globe on a then-little known combo from Ohio. I’ll add additional Keys’-related links from my archives as I find them (e.g. just found a Globe review from 2010, which I’ve added below this piece). The source of the sound is, at first, almost impossible to believe. It’s a thick, bluesy snarl, rising through the dank haze like a dark flower blooming from ancient soil. That the clamor comes not from a nearly-as-ancient, African-American blues musician in the Mississippi hills but from a pair of 23-year-old white guys from Akron, Ohio who call themselves the Black Keys is as startling as the music itself. The duo’s new album, “Thickfreakness”, is loaded with such revelations, not the least of which is the gritty vitality and scuffed-up swagger of songs that sound as old as the hills they set out to conjure. Small wonder, then, that the album is out on the Greenville, Miss. blues label Fat Possum, which happens to be home to the works of the region’s recording artists such as R.L. Burnside, T-Model Ford, and the late Junior Kimbrough, whose droning trance-blues “Everywhere I Go” the Black Keys convincingly cover on “Thickfreakness”. The CD’s release coincides with a headlining club tour that brings the Black Keys to T.T. the Bear’s Place tonight (they’ll also open for Beck at the FleetBoston Pavilion May 24). What makes the bass-less Black Keys compelling isn’t novelty, or the blurred cultural lines and musical distinctions between black and white, blues and rock, the rural South and the suburban Midwest – it’s the sheer quality of the songs. 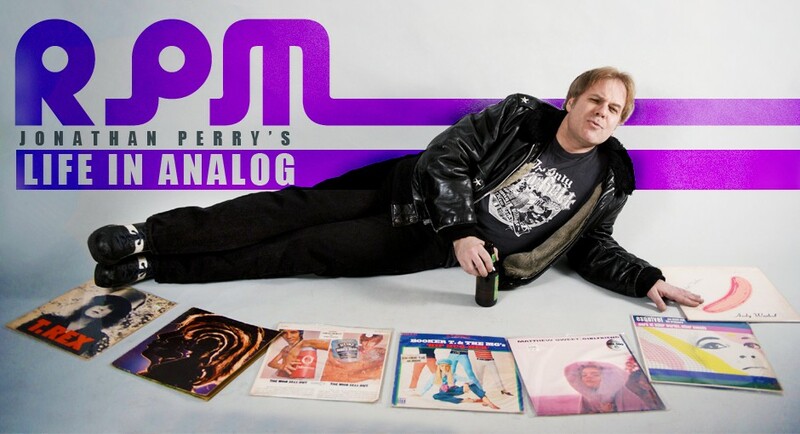 And after all, the emergence into the mainstream and commercial dominance of hip hop over the past couple of decades – not to mention rock and roll’s deep historical debt to rhythm and blues – long ago set the template for pop music as hybridized art form. As if to drive this point home, on their 2002 debut, “The Big Come Up” (released on the tiny Alive label), the Black Keys covered both Kimbrough’s “Do The Rump” *and* the Beatles’ “She Said, She Said.” Despite its limited distribution, and the fact that the duo had never even played a live gig until after ‘The Big Come Up” was released, the disc received glowing reviews from publications far and wide including the Village Voice, Alternative Press, Mojo, and others. 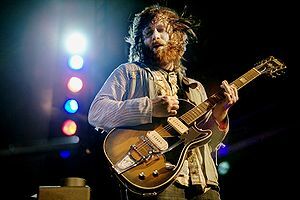 Nothing Black Keys singer-guitarist Dan Auerbach does is obvious. 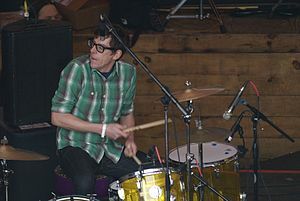 He’s a 29-year-old dude from the suburbs of Ohio who, with drummer Patrick Carney, cut his teeth playing ancient hill country blues in the vein of R.L. Burnside and Junior Kimbrough – but reserved the right to cover a Beatles tune or two for kicks. In town Sunday night as part of a two-week tour for “Keep It Hid,” his new solo album (which actually sounds more like a fleshed-out group effort than anything the Black Keys have recorded), Auerbach took the Paradise stage backed by more musicians than he’s ever had in tow – the excellent four-piece Texas-based outfit, Hacienda, as well as second drummer Patrick Hallahan from the Kentucky psychedelic country explorers My Morning Jacket. Auerbach’s decision to augment his fantastically tight assemblage with Hallahan on a variety of percussion – congas, shakers, and second drum kit – only added to the sustained sense of hoodoo magic being conjured on stage. The sold-out crowd certainly got what it came to hear: 90 minutes of blissfully loud, fiercely focused rock and roll with heart, soul, and flush with power. “The Prowl” (a new song, like many of the selections Sunday) was a gritty saunter through darkened streets, replete with spooky organ. That soon gave away to the liberating uplift of “My Last Mistake” – an infectiously high-spirited rocker somewhat at odds with the subject matter: it found the singer asking his lover whether he’s screwed up their relationship for good this time. Front and center, of course, stood the bearded, blonde-ish Auerbach and his big Gretsch guitar, both of them bobbing and weaving inside the music, dipping down and jumping up with each joyful riff, all of it a heady mix of fierce concentration and loosed glee. Clad in jeans, black leather vest, and workshirt with sleeves rolled up, Auerbach looked like either a lumberjack’s apprentice or a scruffy Outward Bound leader. Those Darlins, an all-female Tennessee trio whose amiably goofy songs sounded almost as good as they looked in mini-skirts, high-heeled boots, and even higher hair, opened with a 30-minute set of tunes about getting drunk and eating chickens, among other worthwhile topics. If the Dixie Chicks ever covered the Southern Culture On The Skids’ catalog, this is what it might sound like. Hirsute rockers Hacienda (who would later take the stage as Auerbach’s backing band) followed with an enjoyable, if not ground-breaking, 30-minute set of ‘70s-style rock whose organ-laced jams were as shaggy as they were.